Gladys M. Feather, 92, Martinsburg, passed away Tuesday evening at Homewood at Martinsburg. She was born in Ore Hill, rural Roaring Spring, daughter of the late Lester S. and Iva M. (Erb) Furry. On May 11, 1947, she married Eugene H. Feather in rural Roaring Spring, and he preceded her in death on Jan. 15, 2011. Surviving are a son, Dennis E. (wife, Cathy) Feather of Martinsburg; a daughter, Sharon K. Long of Martinsburg; four grandchildren: Betsy Robison, Aaron Feather, Kristin Gilbert and Hillary Long; and four great-grandchildren. She was preceded in death by a son-in-law, Kevin M. Long; six brothers: H. Glenn, Gerald E., L. Roy, K. Merle, Robert O. and infant J. Clair; and two sisters: V. Ruth Shaw and Eva L. Gartland. 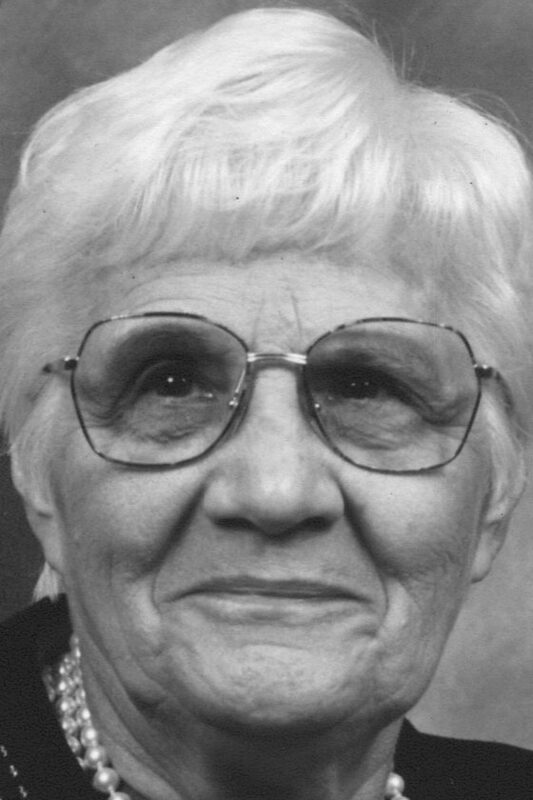 Gladys was a 1943 graduate of Morrisons Cove High School, Martinsburg, and a longtime member of Memor­ial Church of the Brethren, Martinsburg, where she taught Sunday school. She was primarily a homemaker who loved spending time with her family. Gladys also enjoyed sewing, quilting and flower gardening. Friends will be received from 10:30 a.m. until the noon funeral service on Sat­urday, Aug. 25, 2018, at Mem­orial Church of the Breth­ren, Martinsburg, Pastor Eric J. Fether officiating. A private interment will be held at Fairview Ceme­tery, Martinsburg. Arrange­ments are by John K. Bolger Funeral Home Inc., Martinsburg. The family prefers that memorial contributions in memory of Gladys be given to Memorial Church of the Brethren, 210 N. Wall St., Martinsburg, PA 16662, or to Homewood at Martinsburg Benevolent Fund, 437 Givler Drive, Martinsburg, PA 16662.